Continuing with the saving money theme I've got going on at the moment, I've seen a lot of everything for £5 websites floating around and although at first thought I'd imagine everything to be cheap, tacky and fall apart I was actually quite shocked when I had a proper look. 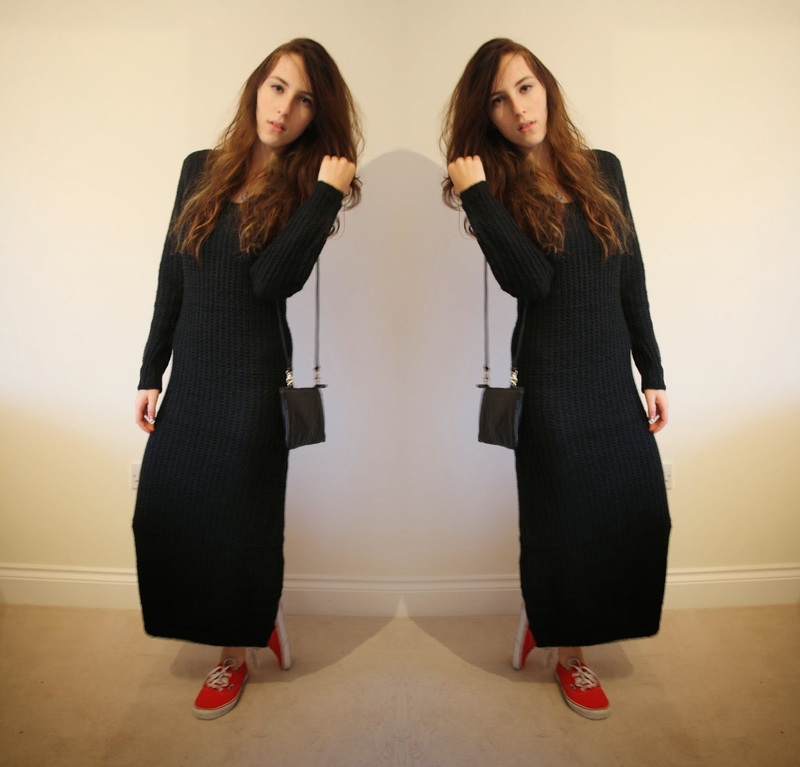 I picked out this black knitted maxi and just for the sheer amount of material that makes it, its worth the money. It comes in 6 or 7 different colours but I thought sticking with black was safest. This dress is one of those things I've always wanted but just didn't realise. I love wearing maxi dresses but in the winter they don't keep me warm. I love wearing big cable knit jumpers so I don't know why I didn't come up with this idea earlier. Its so warm and I love how it looks as well. The bag is my favorite new perfectly sized leather bag from Next. I won a pair of shoes on their twitter competition but they didn't fit me so I took them back to the shop and with some of the credit I got back I bought this bag. It was only £22 and they had it in all different coloured leathers. It's the perfect size for clubbing. I also love that its real leather and super soft. Have You Tried Any Of The Budget Websites? I am loving this dress and that necklace is pretty. What an amazing colour.